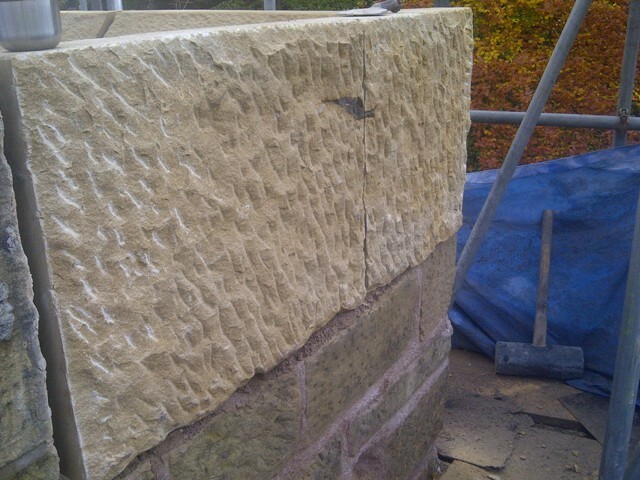 We strive to complete all stone restoration projects in sympathy with the existing stone work and architecture. 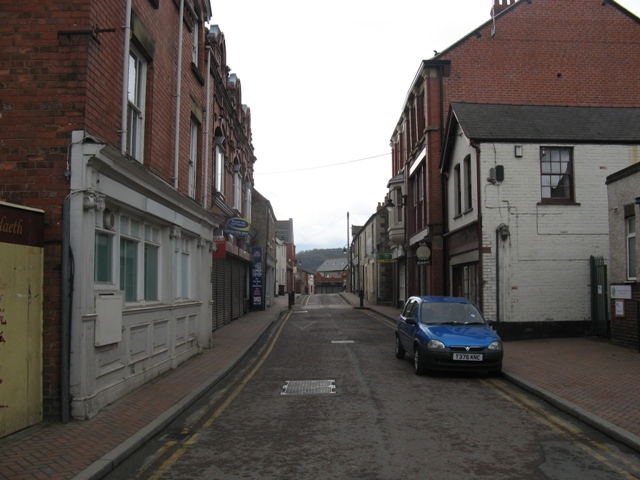 Well Street, Cefn Mawr is one of Wrexham’s 23 conservation areas. 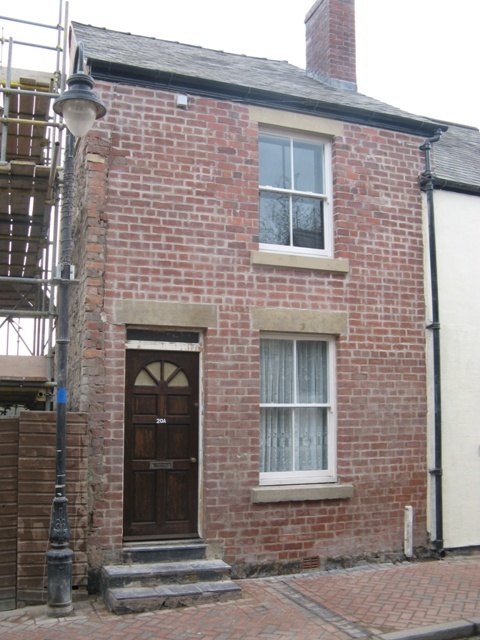 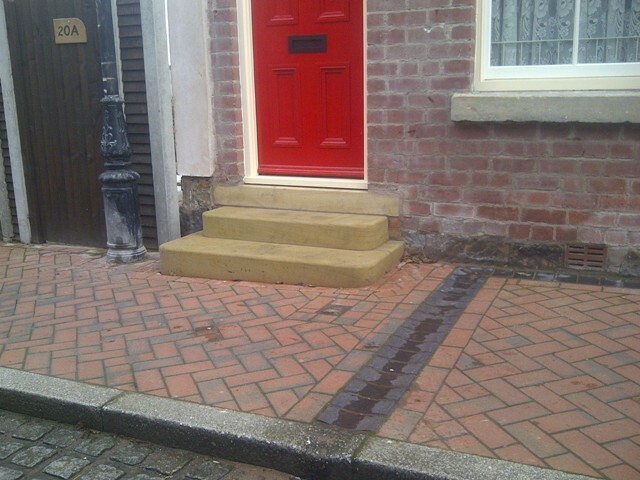 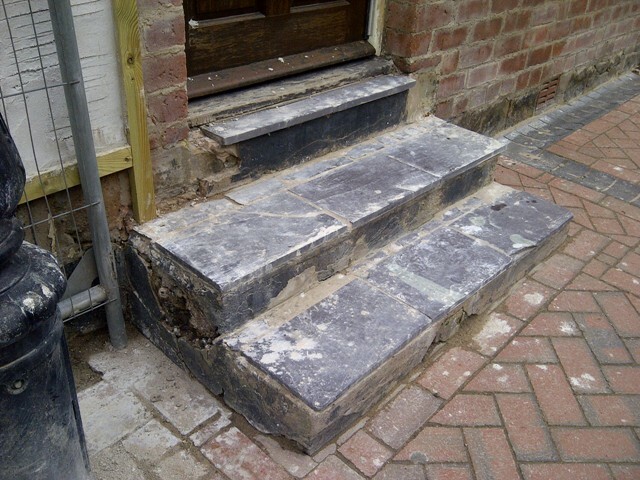 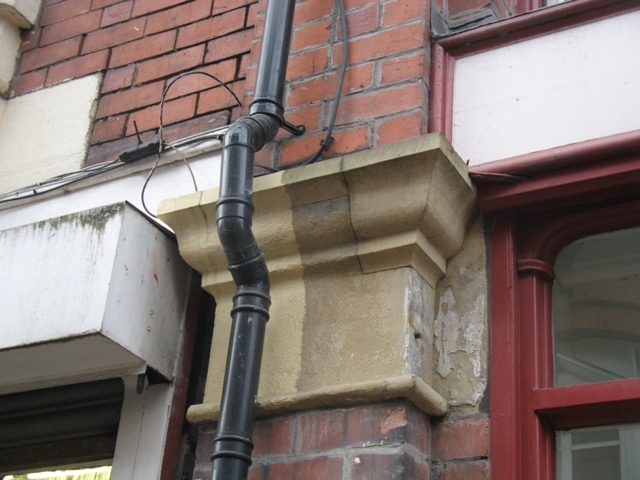 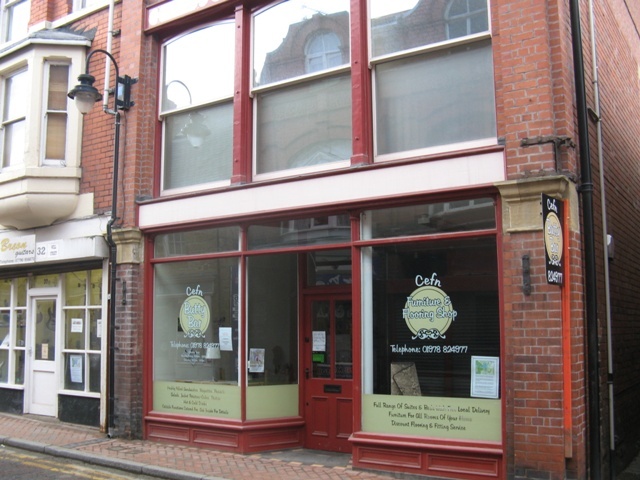 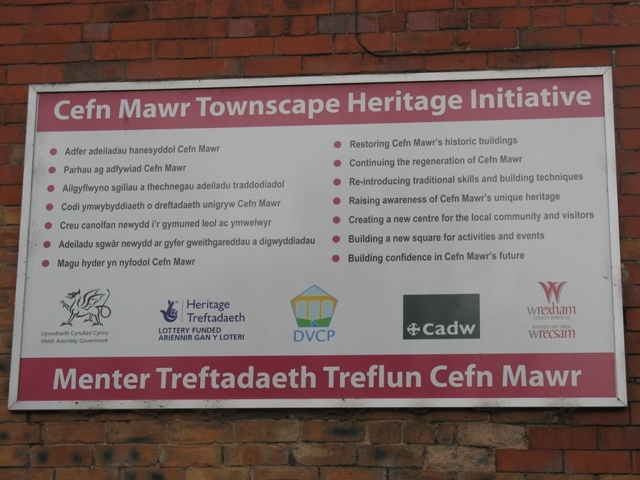 We have supplied stone work to many of the shops and properties renovated in Cefn Mawr Townscape Heritage Initiative. 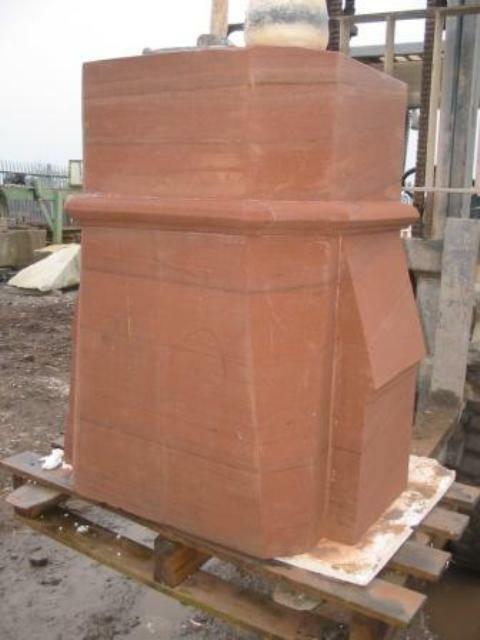 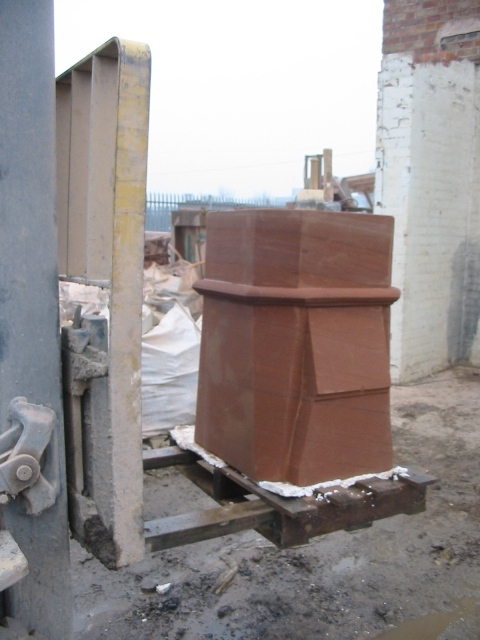 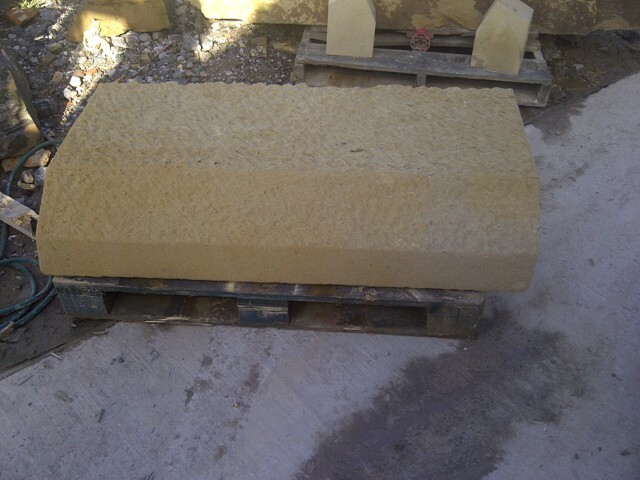 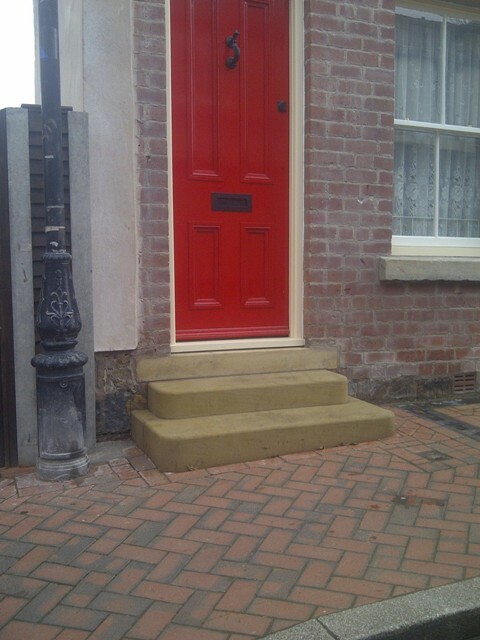 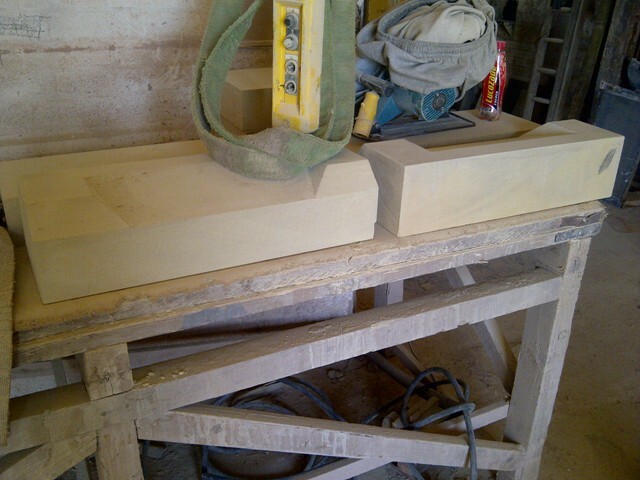 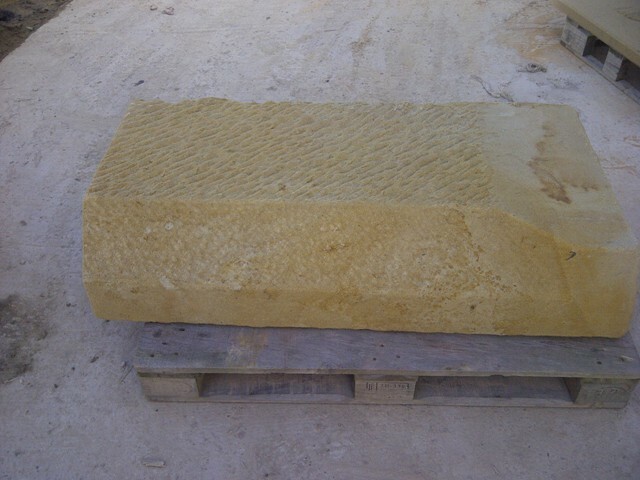 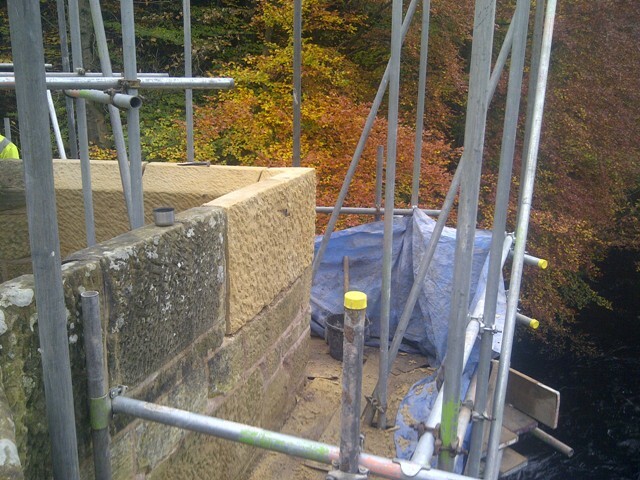 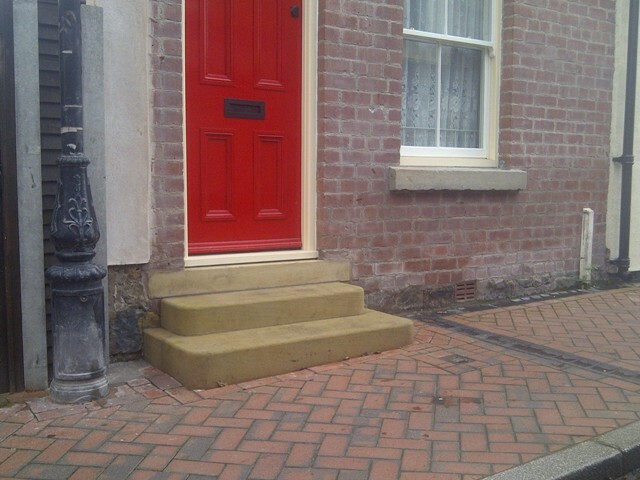 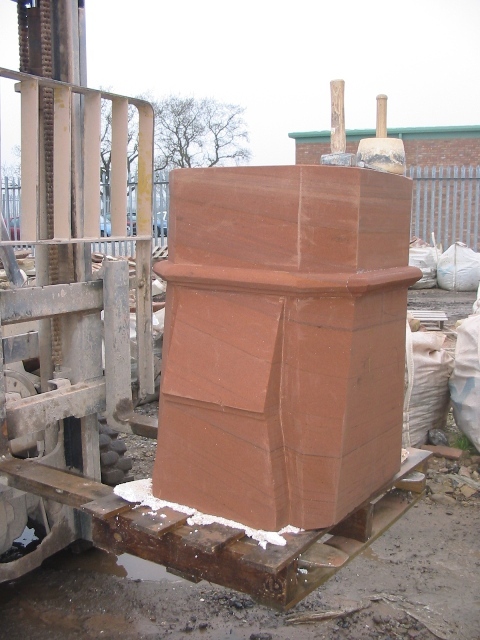 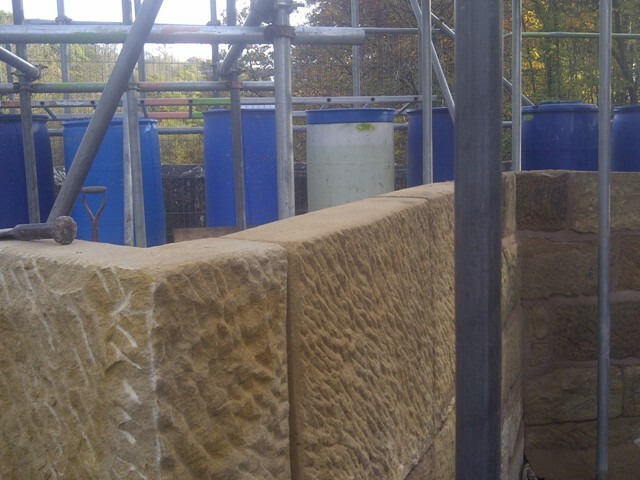 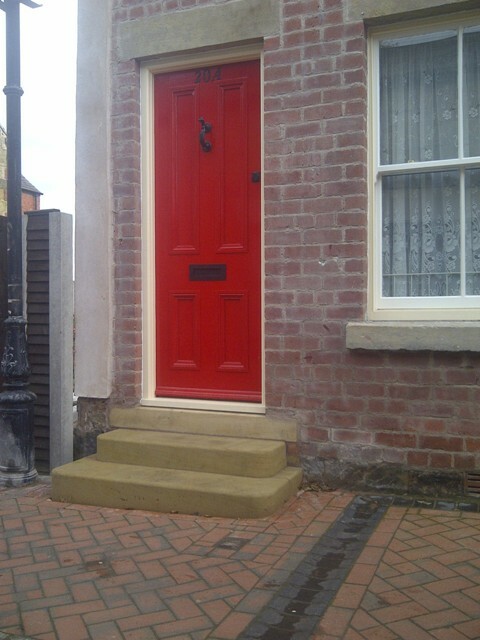 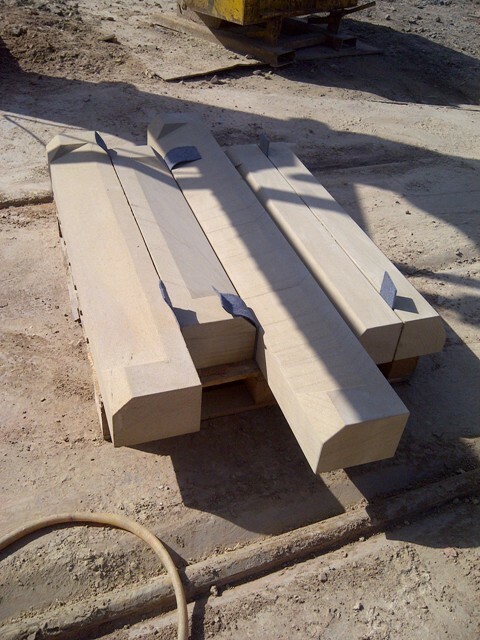 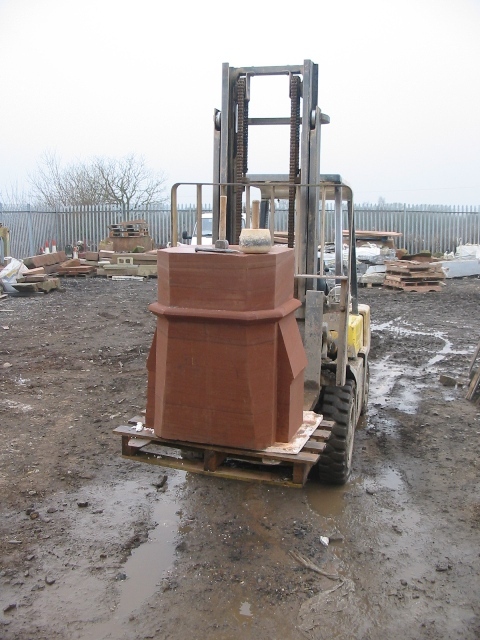 We have made cills, lintels, steps, all from local sandstone. 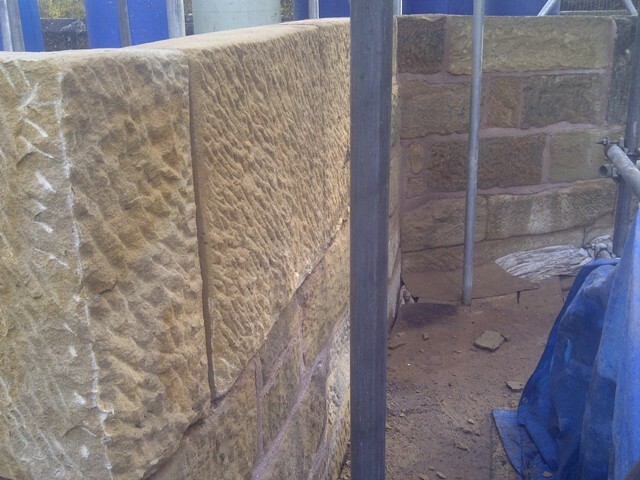 We have always taken the time to take accurate dimensions of the existing stone work we are replacing and taken care to reproduce the stone work just as it was. 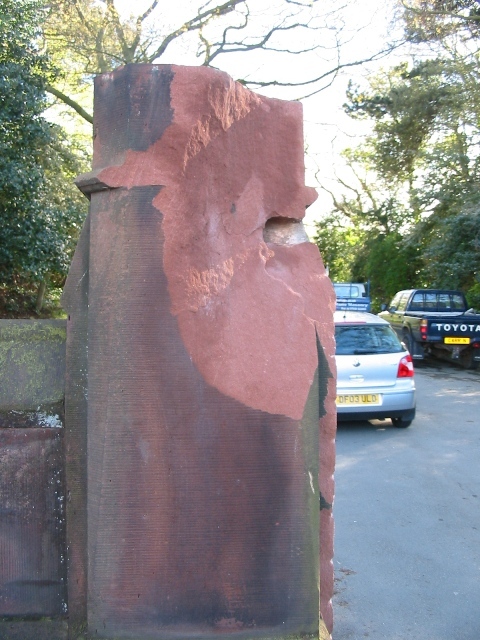 Listed Grade 1, post-medieval bridge that spans the River Dee near the Pontcysyllte Aqueduct. 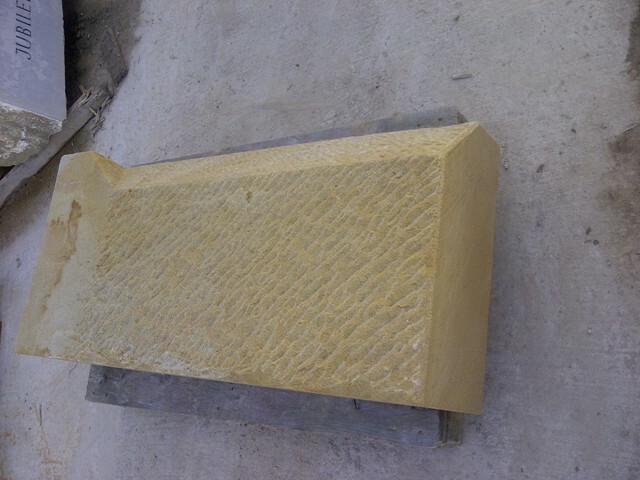 We made hand tooled parapet wall stones. 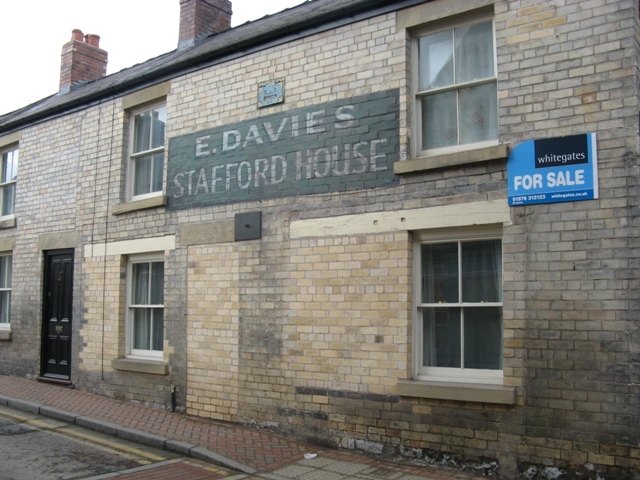 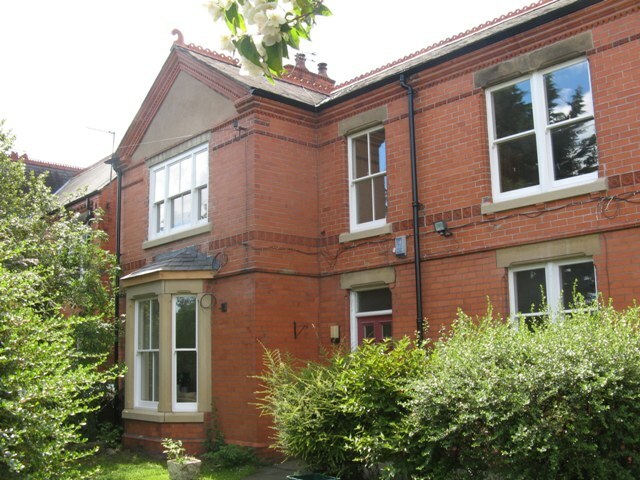 No 12 Salisbury Road was owned by Wales and West Housing Association and was located in one of 23 conservation areas, Salisbury Park. 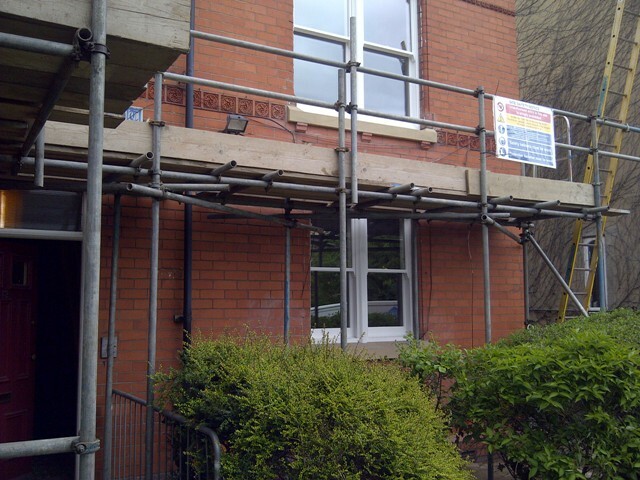 Wales and West needed to replace the windows on the property so took the opportunity to restore the property to its former glory. 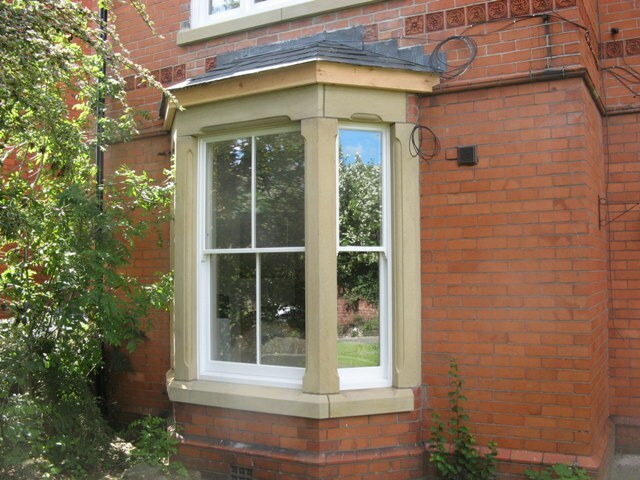 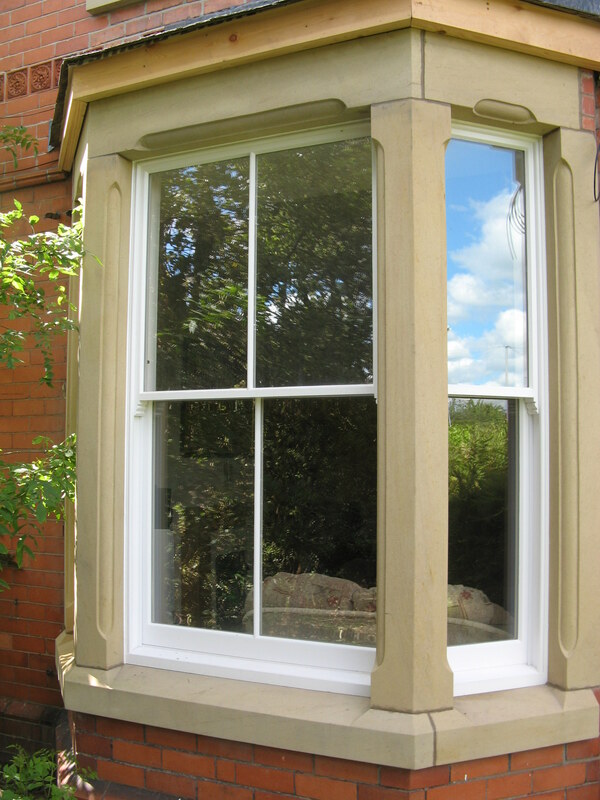 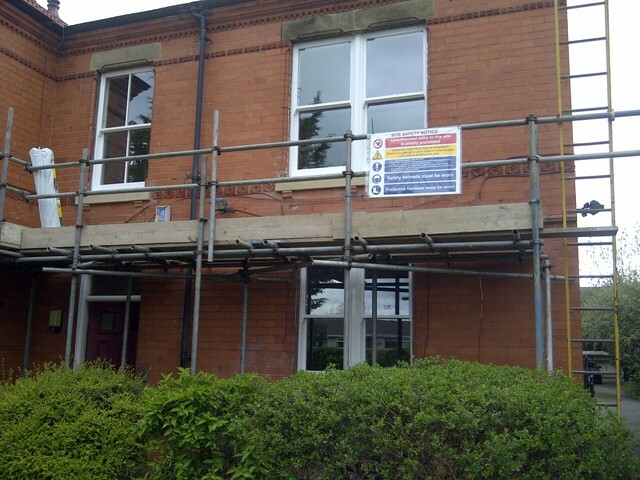 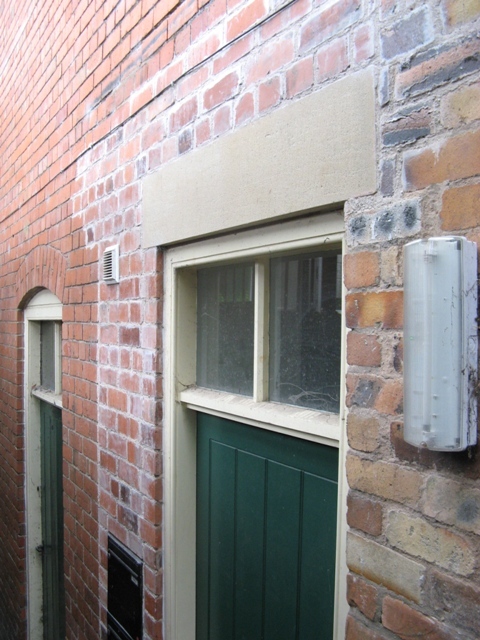 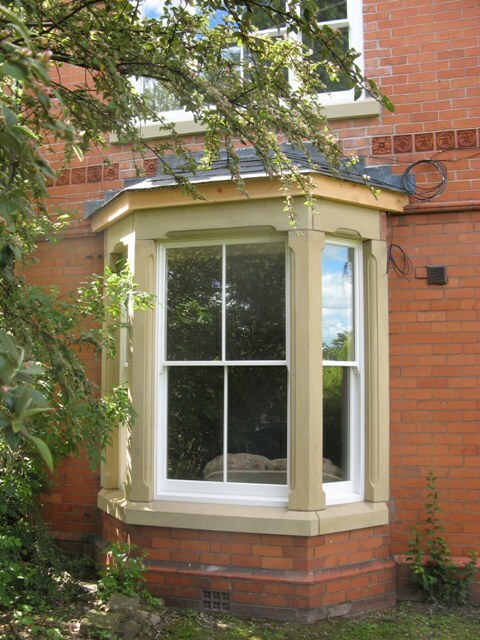 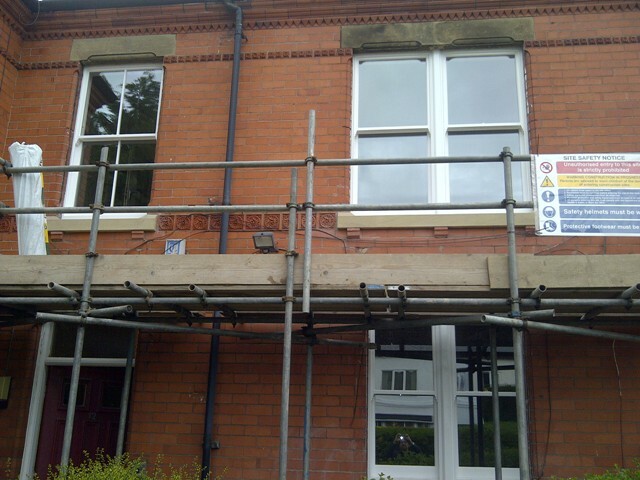 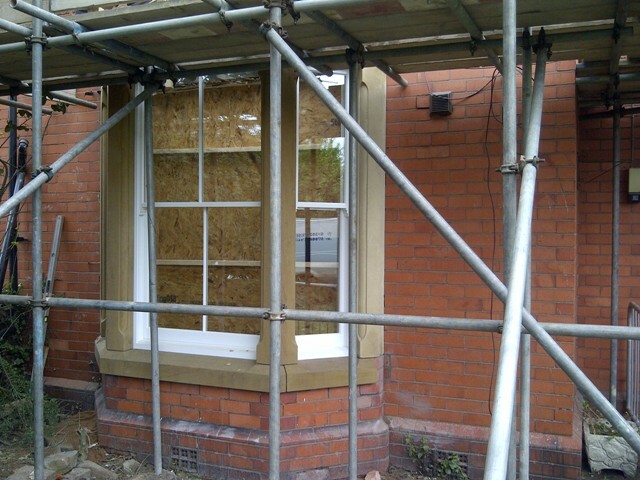 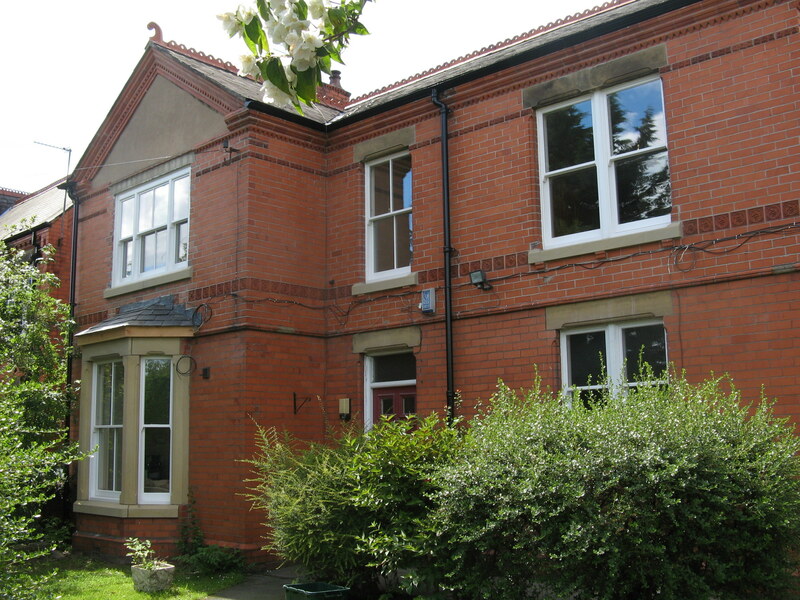 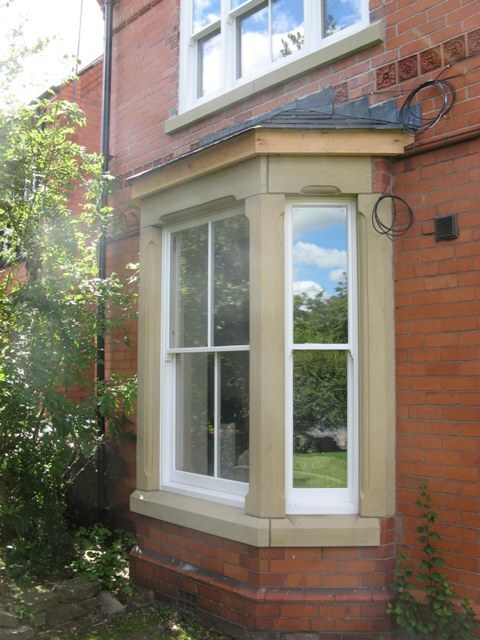 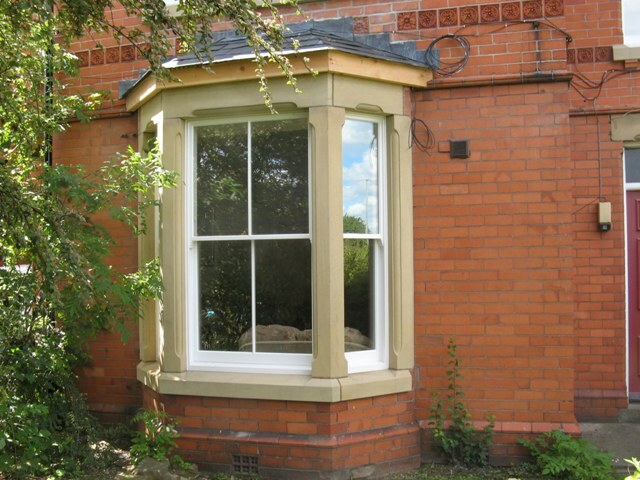 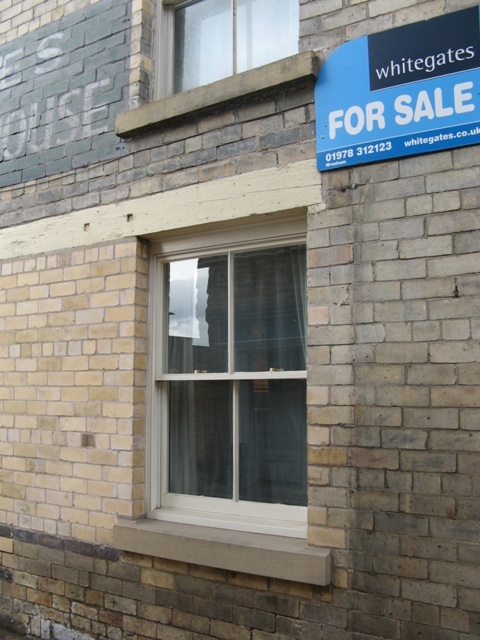 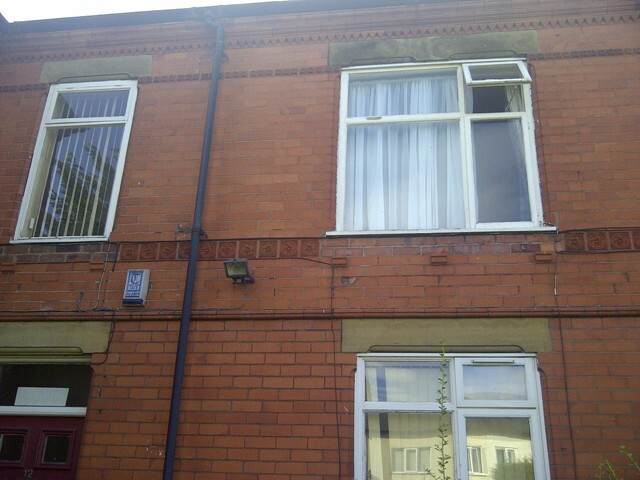 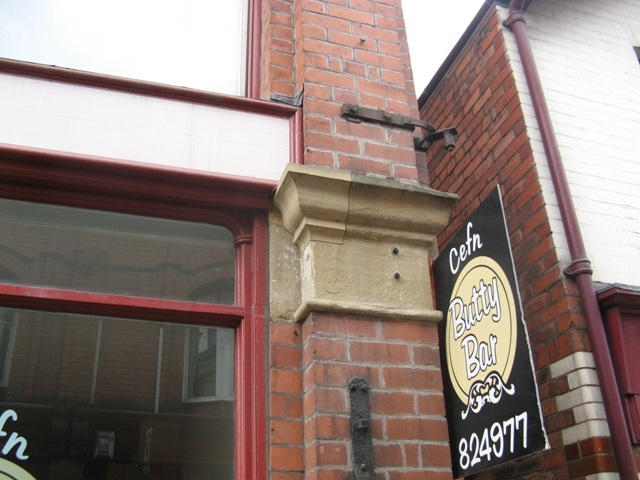 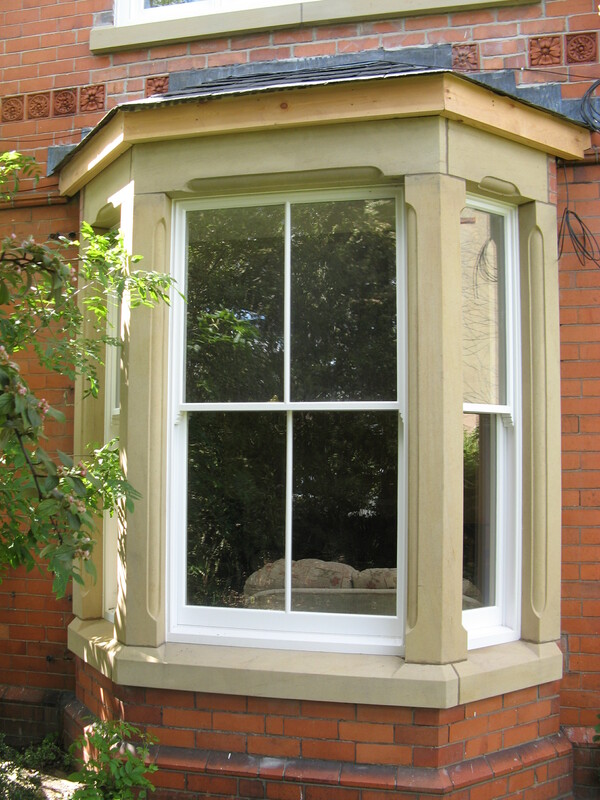 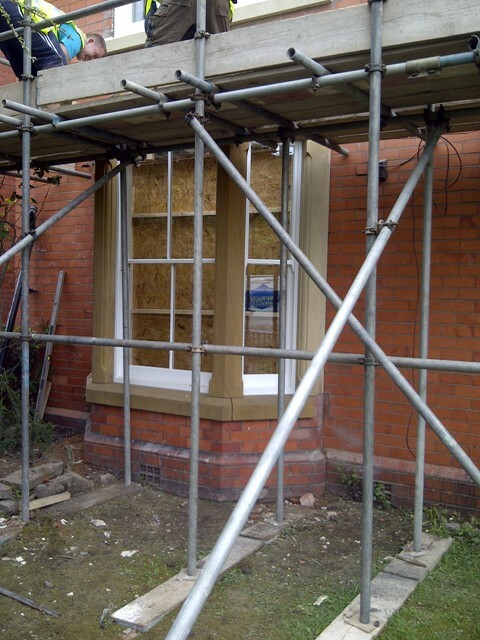 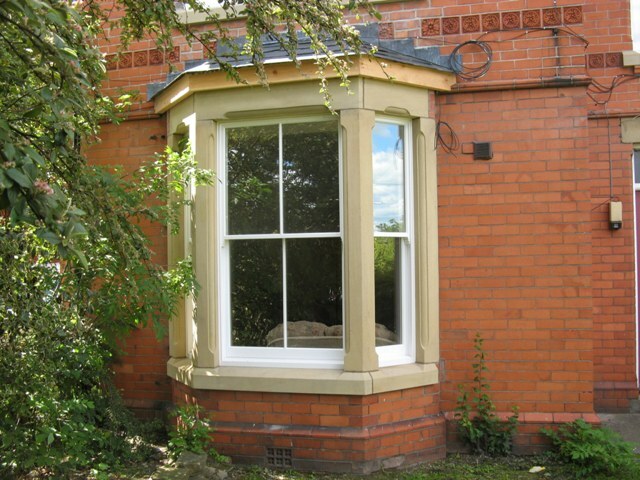 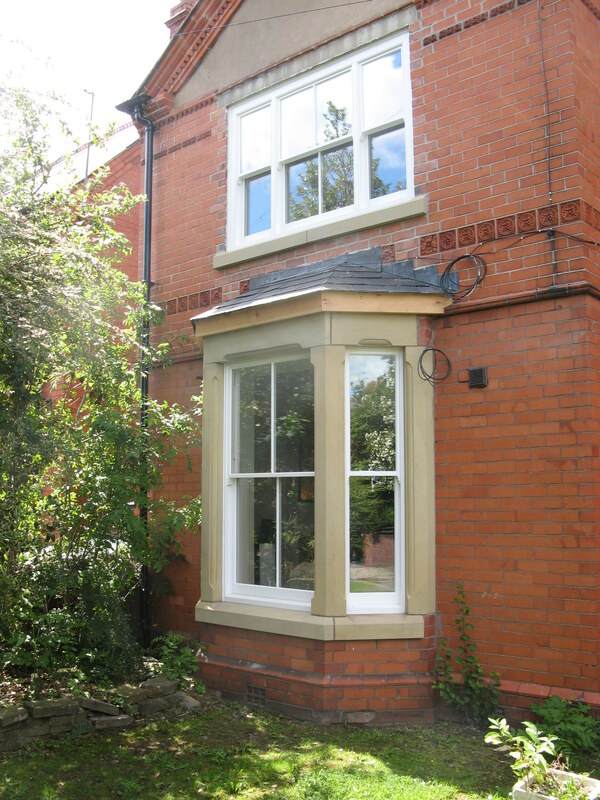 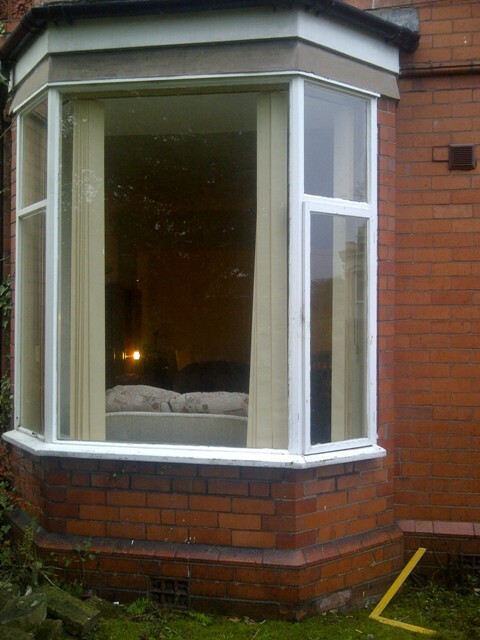 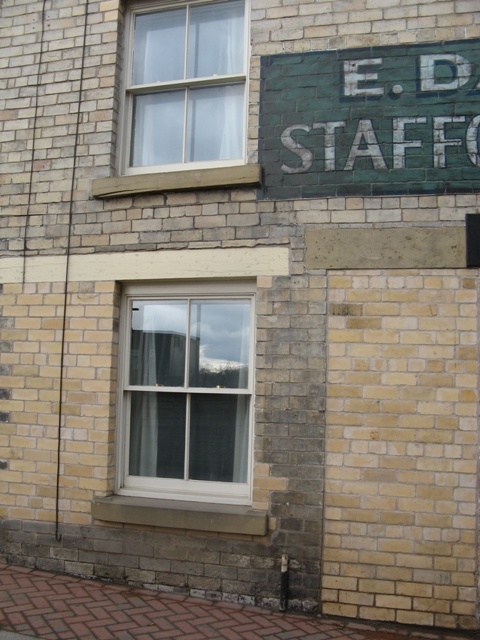 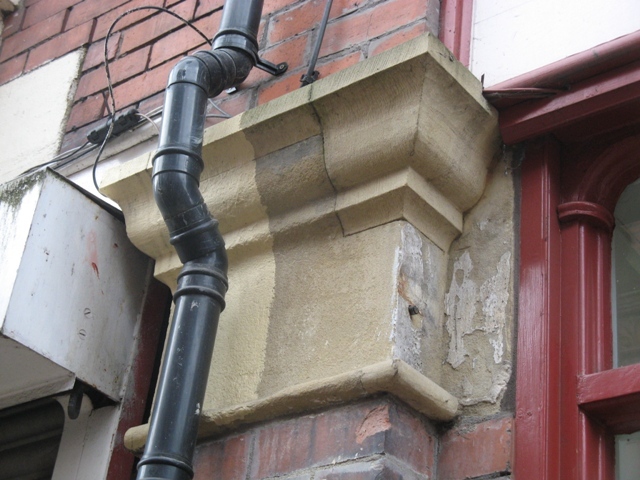 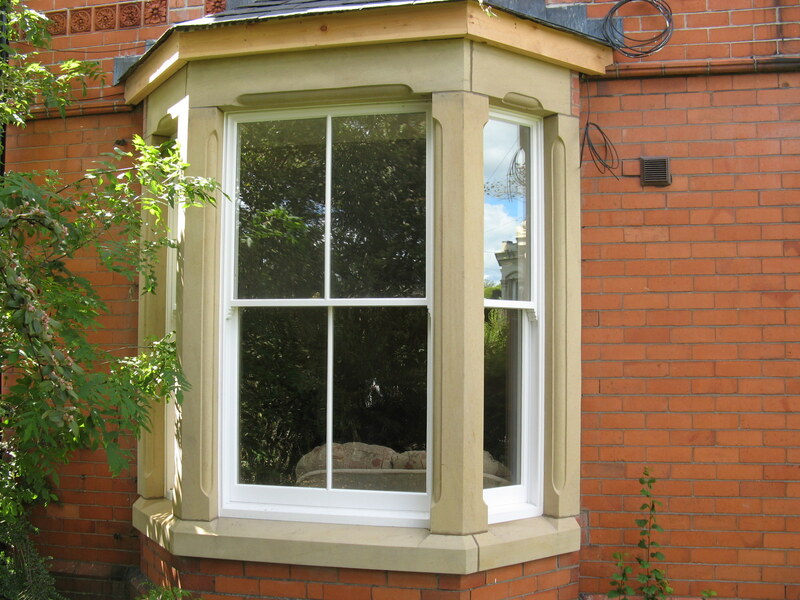 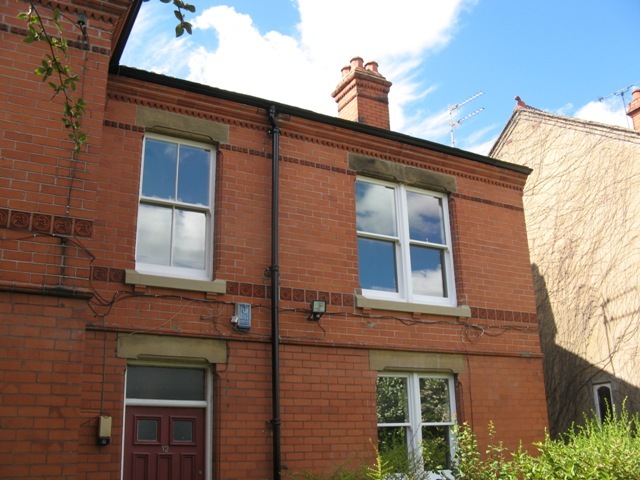 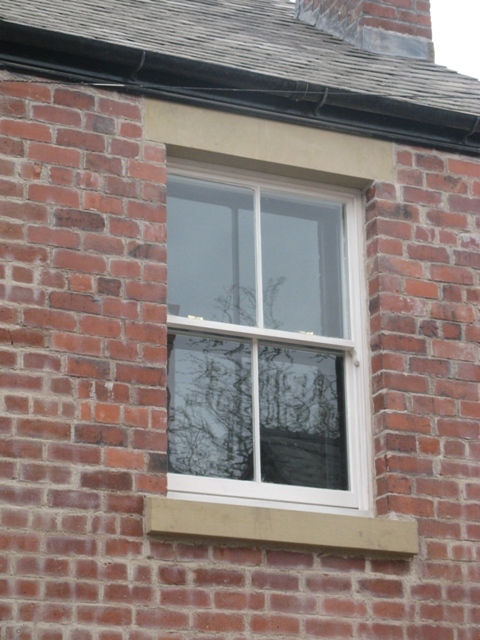 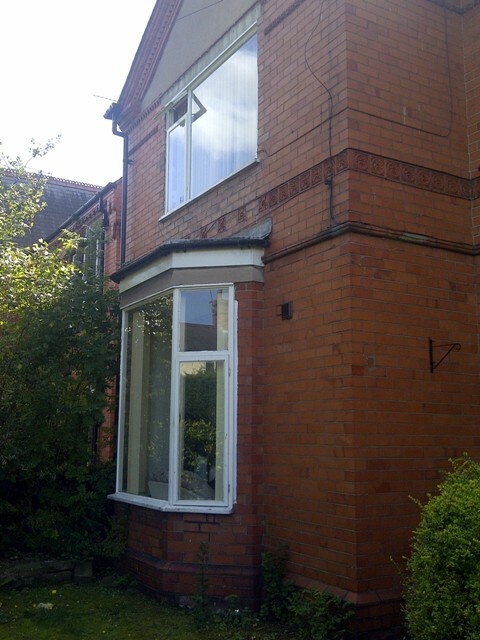 We designed a new bay window incorporating the existing mouldings found on the original lintels. 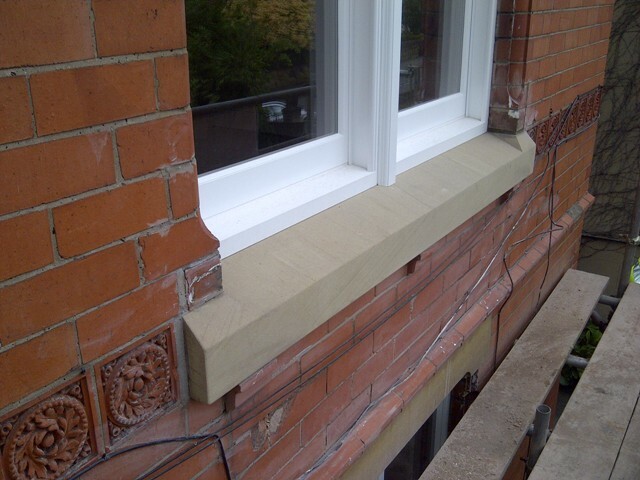 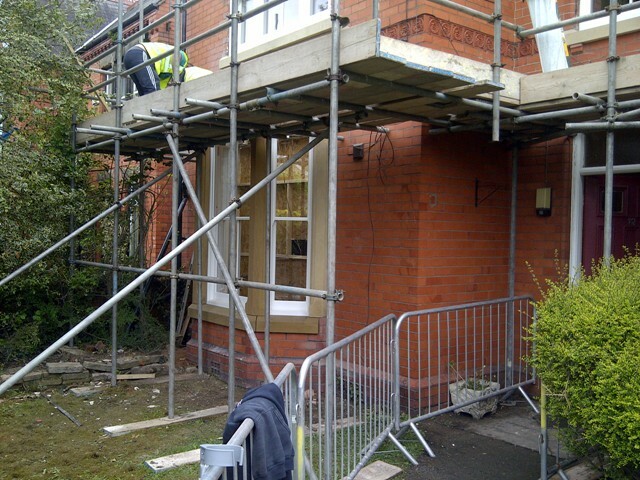 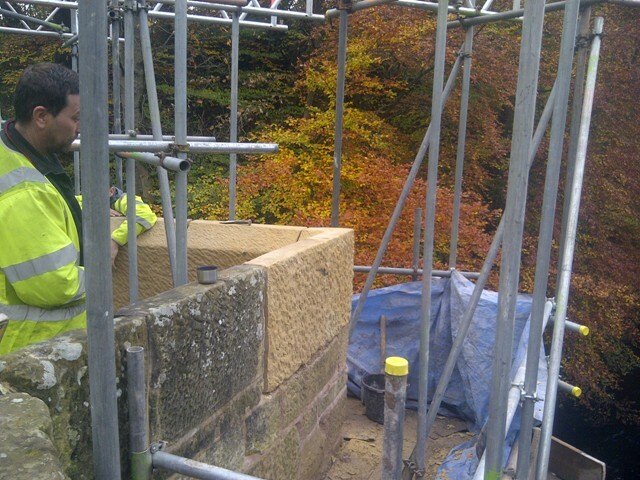 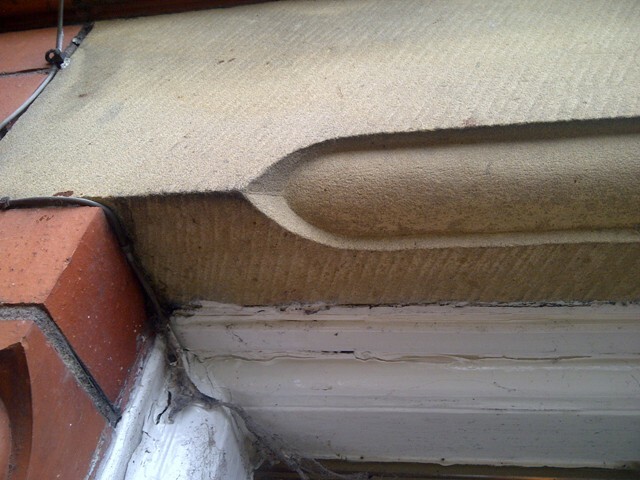 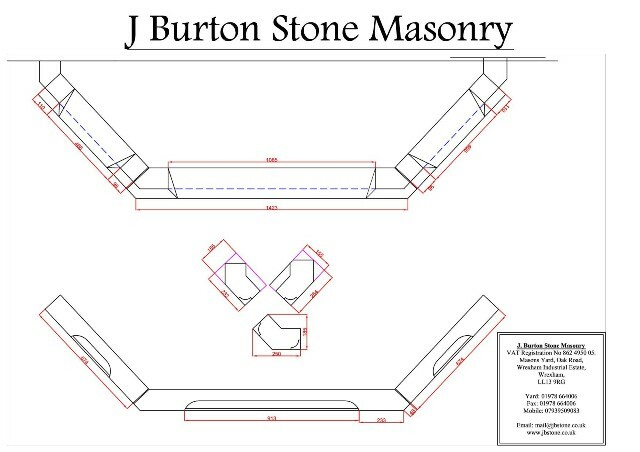 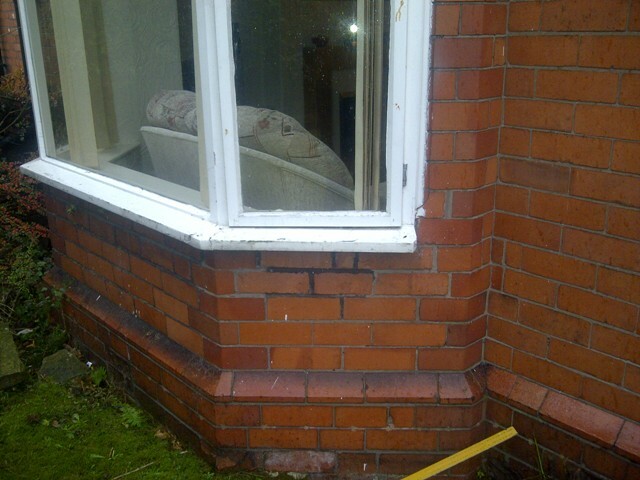 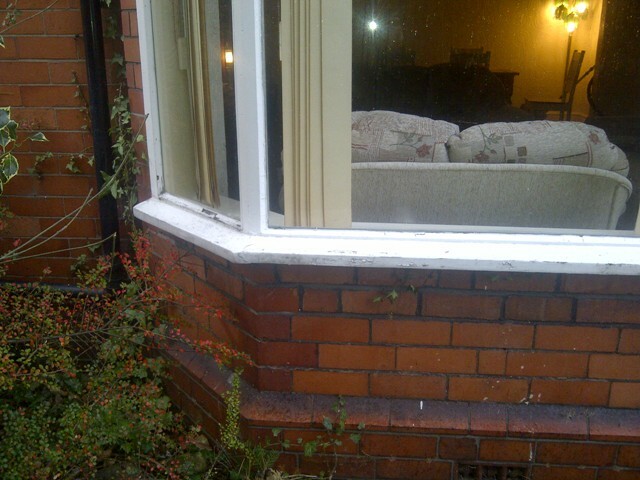 We took the details for the cills from the cills at the rear of the property. 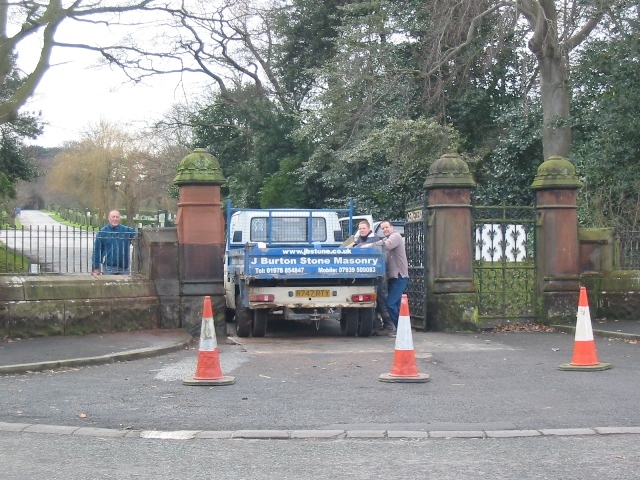 Frankby Cemetery, Hillbark Rd, Wirral. 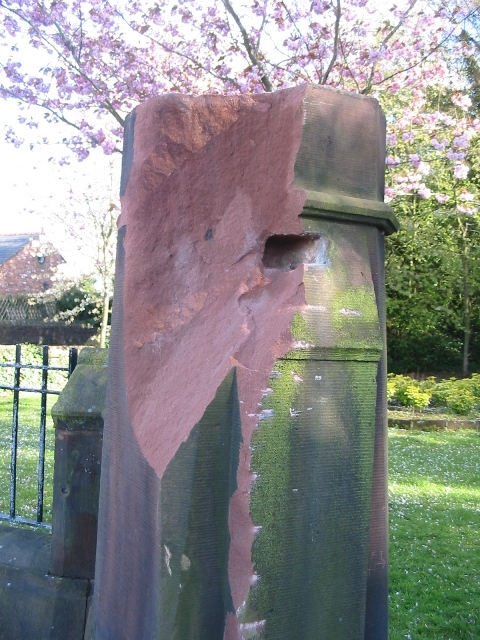 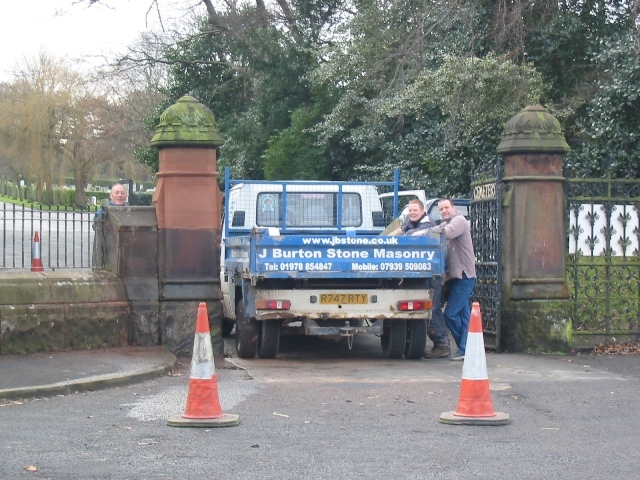 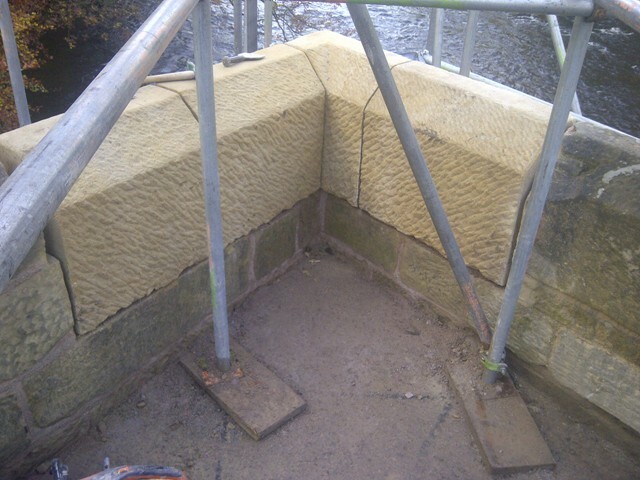 We replaced the the top half of the gate post after a lorry had pulled the gate out of the post and split the sandstone.